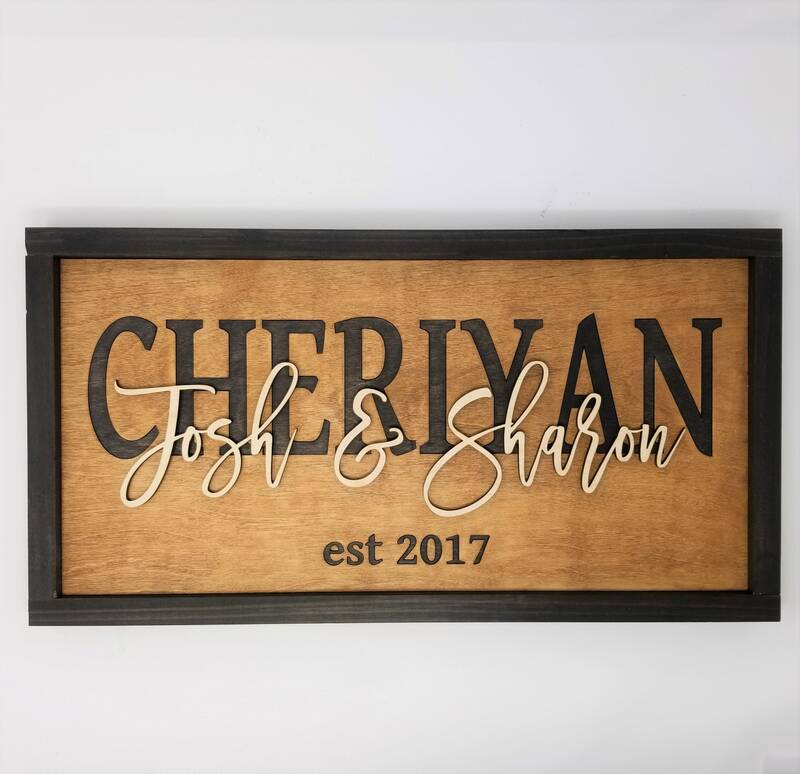 This sign features a wooden background stained in our Chestnut stain, with your last name stained in Ebony and inlaid into the background wood. 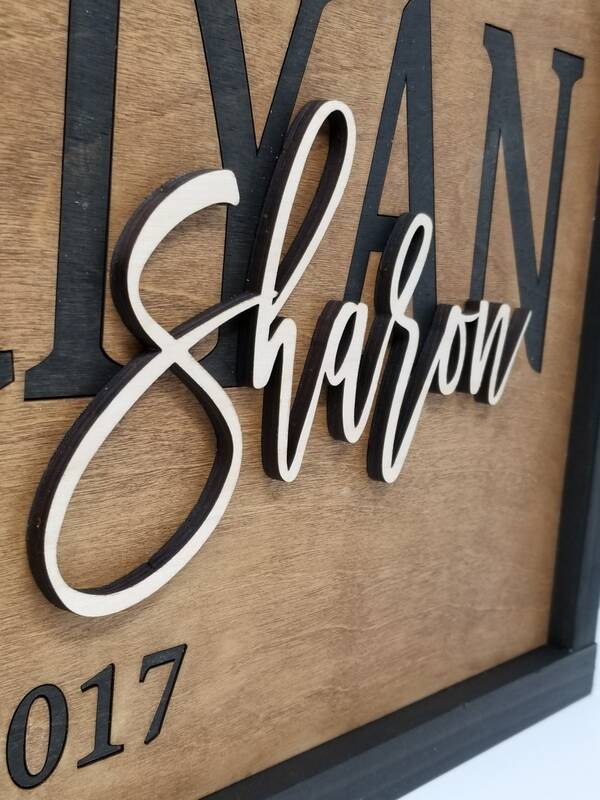 We then laser cut your first names out of 1/4" Birch and attach them to the top, finishing the piece with a farmhouse frame in ebony stain. The 3D layered effect is simply stunning in person and makes a wonderful wedding or anniversary gift! 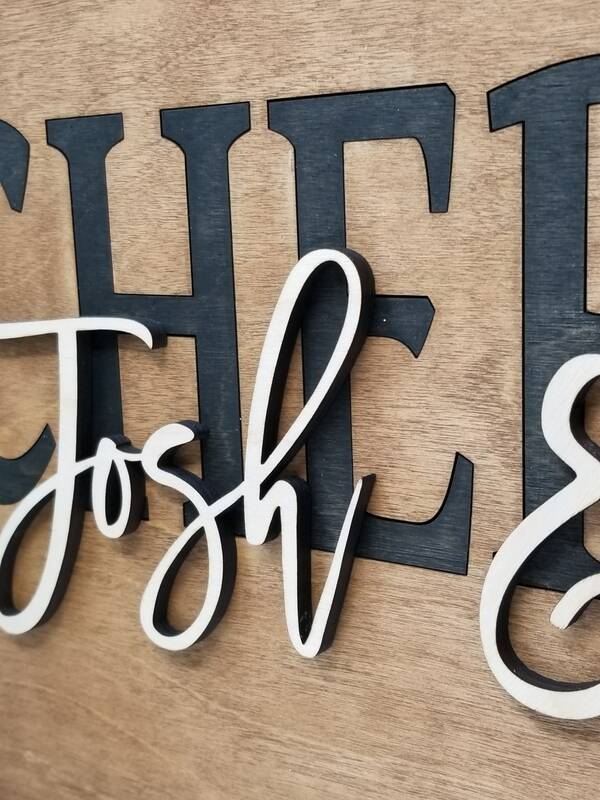 Sign measures 10.5"H x 20.5"W and easily sits on a shelf or mantel due to the wide frame.